In another three weeks' time. we will be ushering in the Year of the Rooster. 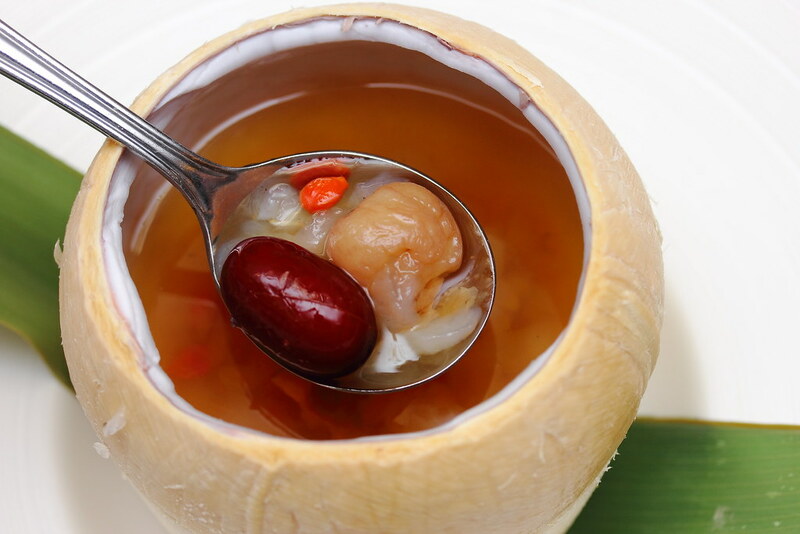 Man Fu Yuan at InterContinental Singapore has prepared a luxurious selection of Lunar New Year delights and prosperity set menus for celebrating the Chinese New Year with families, friends and business associates. It will be available from 02 Jan to 11 Feb 2017. New on the menu this year is the Black Truffle Yu Sheng with Deep Sea Red Crab, Silver Bait Fish and Fresh Fruit ($138 for 8-10pax). 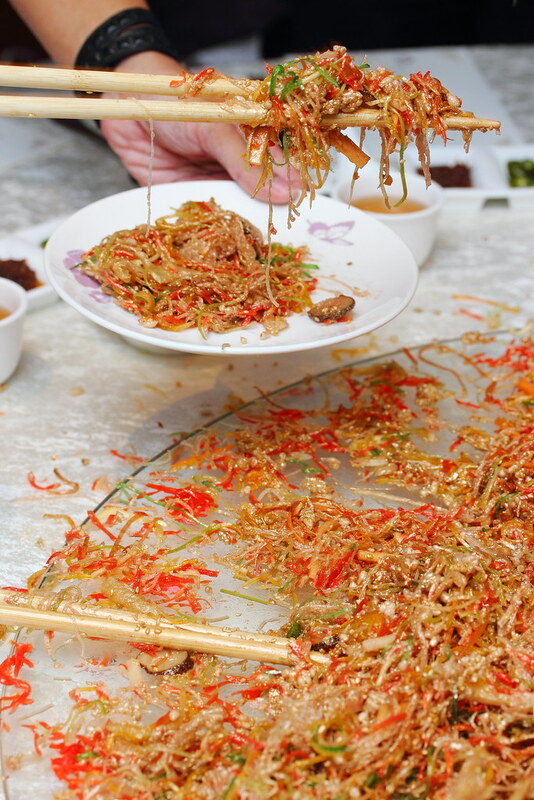 Tossed to a year of prosperity and abundance is the pile of yu sheng that represents a golden hill. The silver bait fish provided the extra textural bite while the fresh fruit gives it a refreshing touch. Making a dramatic entry is the Chilled Marinated South African Fresh Abalone. 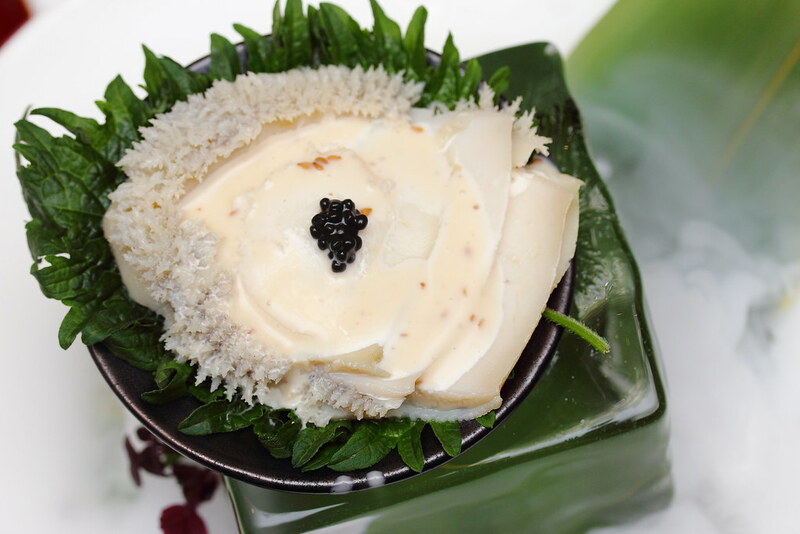 It is served on top of a whole ice block in an abalone shell. The goma sesame sake dressing is an excellent choice to pair with the bouncy texture of the abalone. The marriage was perfect to showcase the shell fish. 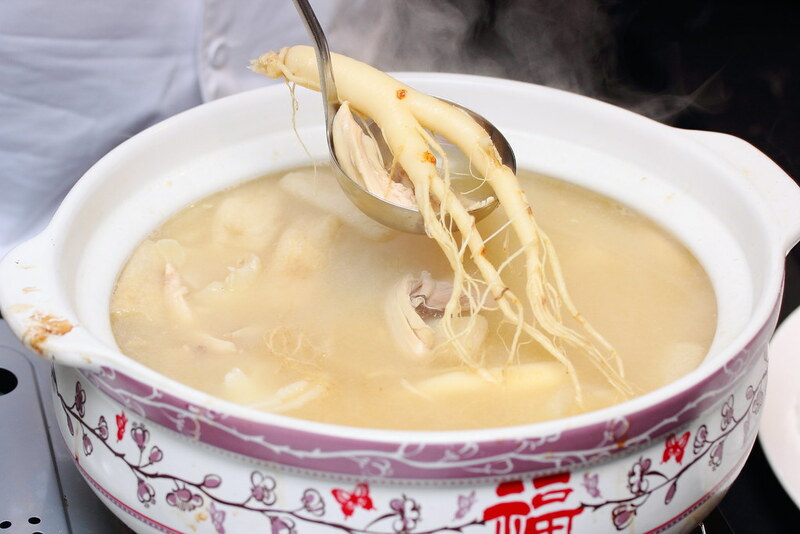 Some people do not like the aftertaste of Ginseng but in this hearty pot of Double Boiled Chicken ($298 for 5 pax) with Fish Maw, Bamboo Pith and Chang Bai Shan Ginseng in Superior Stock, you would not get that. In fact, the Chang Bai Shan Ginseng added a subtle sweetness to the soup giving it a different taste from the other ginseng I have eaten. I felt somewhat flushed after having a bowl of the nourishing soup, probably the health benefits of the ginseng is having effect on my body. 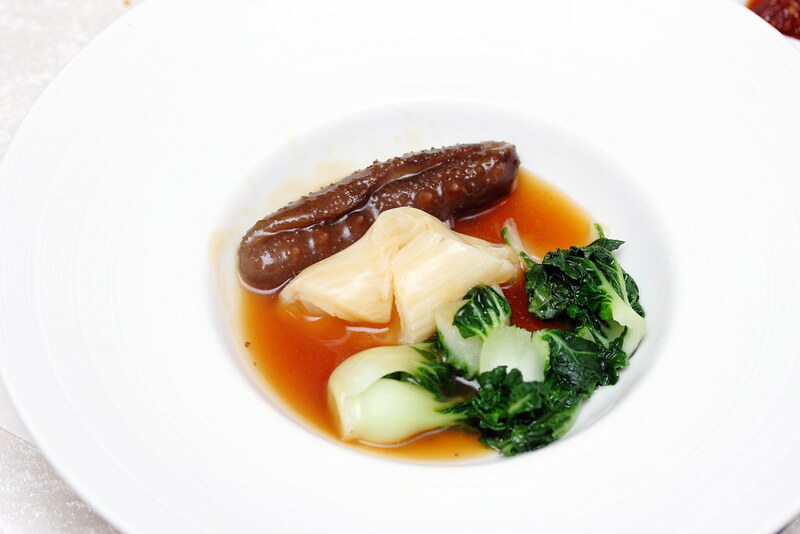 Another premium ingredients on the menu is the Braised Sea Cucumber and Fish Maw in Superior Brown Sauce. Both ingredients are actually tasteless but have a good bouncy texture. With the superior brown sauce, it gave it a coat of shine to turn it into a delicacy. 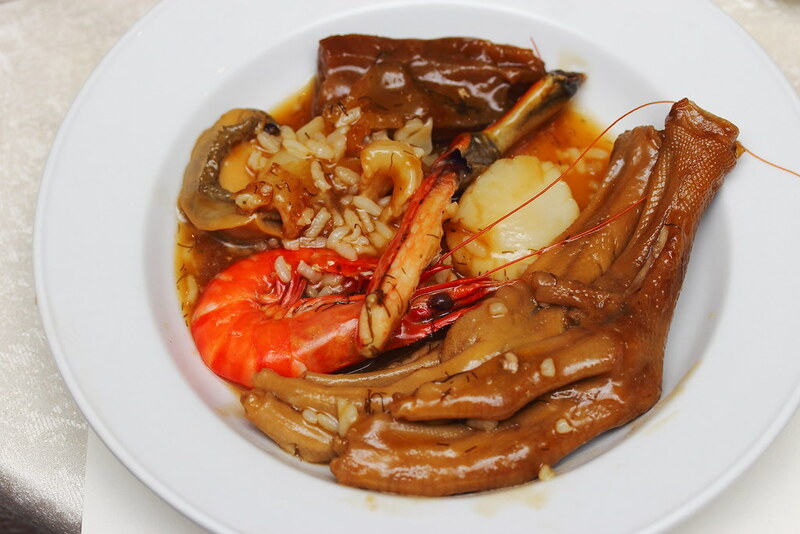 The Steamed Fillet of Star Garoupa in Consomme of Lobster & Luffa Gourd is an interesting dish using a combination of Asian and Western techniques. This has elevated the whole experience of steamed fish to a new level with the rich essence of the lobster complementing the buttery fish. 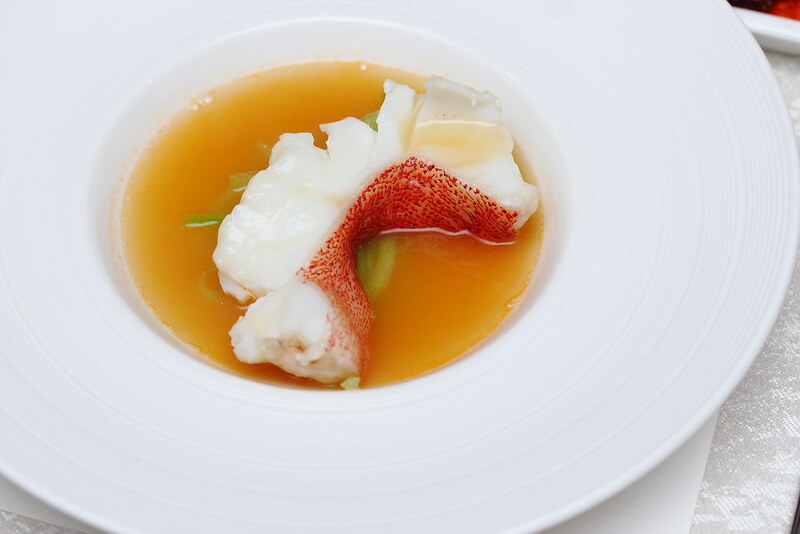 The Steamed Boston Lobster with Egg White and Chinese Rice Wine Consomme may looks rather simply but there are may layers of flavours. The lobster was actually poached in chicken oil for that additional lift in flavour. 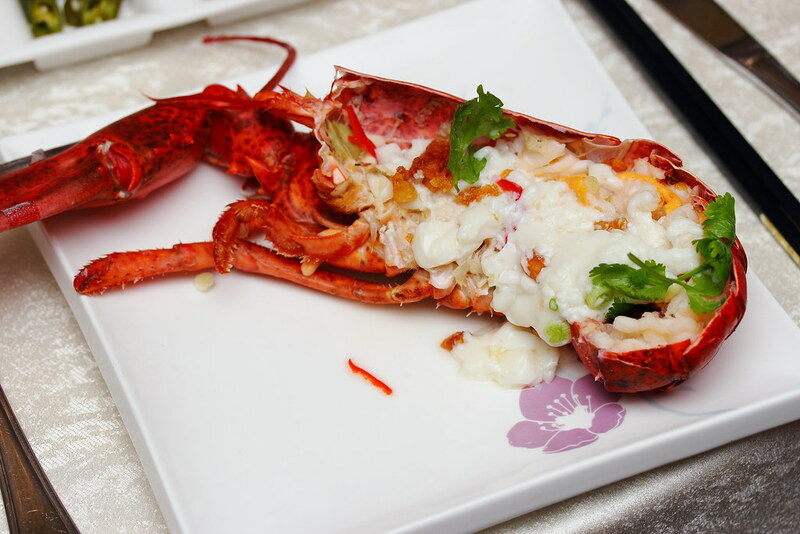 The coat of cloudy egg white gives a contrasting texture to the crunchy lobster flesh. Not forgetting the bits and pieces of pork lard which acts like popping candy on top of the beautiful dish. Taking the centre stage has to be the Man Fu Yuan Supreme Treasure Pot ($398) which consists of over 18 ingredients such as Spring Chicken stuffed with Aged Hua Tiao Wine and Pearl Rice, Deep Sea Red Crab, 10-Head Whole Abalone, Spiky Sea Cucumber, Fish Maw, Canadian Lobster, Goose Web, Dried Oyster, Australian Scallops, Live Prawns, Amercian Sea Whelk, Flower Mushrooms, Cabbage, Fried Bean Curd Skin, Fried Yam, Preserved Meat and Liver Sausages, Sea Moss. 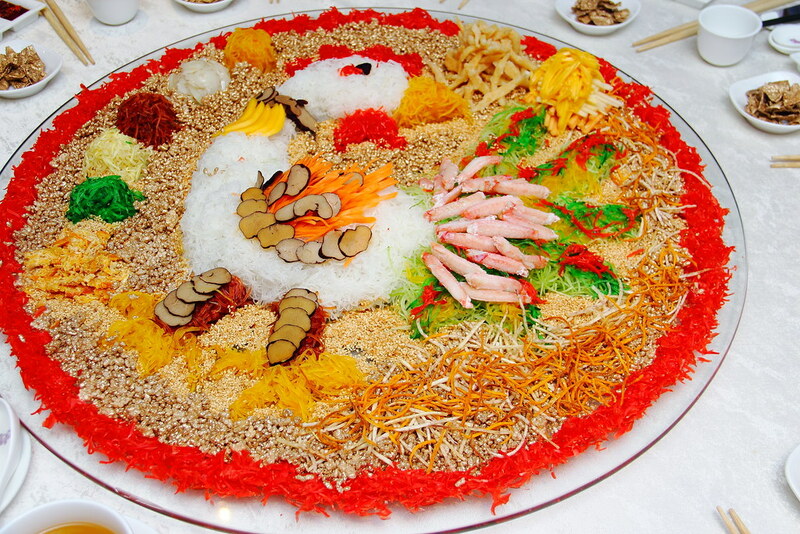 Man Fu Yuan's treasure pot is one of the many that I look forward to every year because they served goose web in it. It is hardly available in other pen cai nowadays. The treasure pot is prepared for over 12 hours, the flavours of each ingredient is extracted with the essence captured in the treasure pot for a fusion of tastes. 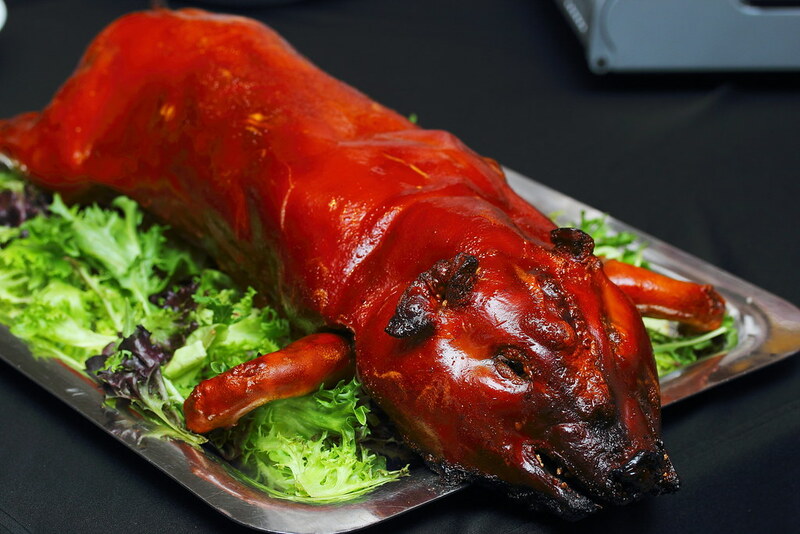 The finale goes to the ever popular Barbecued Whole Suckling Pig with Glutinous Rice ($388). 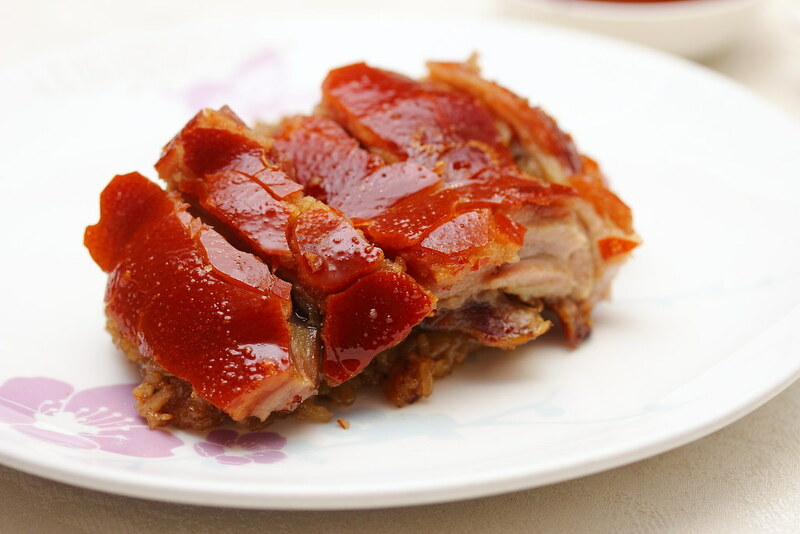 The crispy pork skin, succulent pork and the delicious wok fried glutinous with Chinese sausage that is packed with rich aroma and flavours. No way I am going to just stop at one serving. Wrapping up the dinner, we had two warm desserts in the Almond Pastry and Double Boiled Hashima with Eight Treasures Tea Served in Whole Coconut. 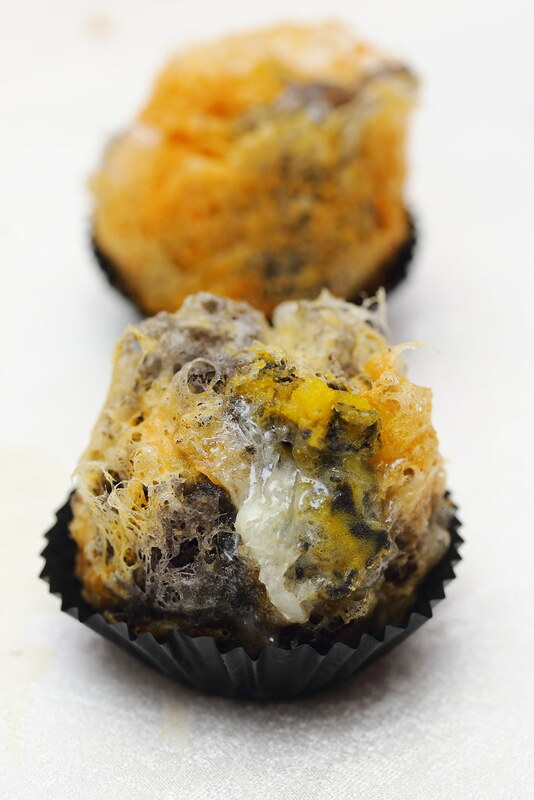 Do be careful while having the Almond Pastry, as the warm lava almond cream may ooze out as you bite into it. 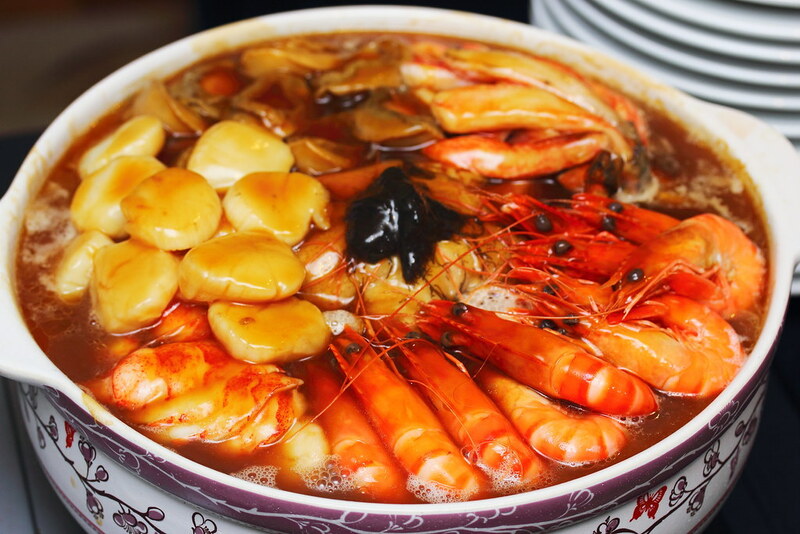 As for the Double Boiled Hashima, it helps to cleanse the palate after all the richness. I enjoyed how the coconut juice infused with the tea for a light and yet fruit sweet finish. For more details of Man Fu Yuan Chinese New Year offerings, please visit their website for more details. You can also cantact Man Fu Yuan at +65 68251007 or email sinhb-festive@ihg.com for enquiries or reservations.